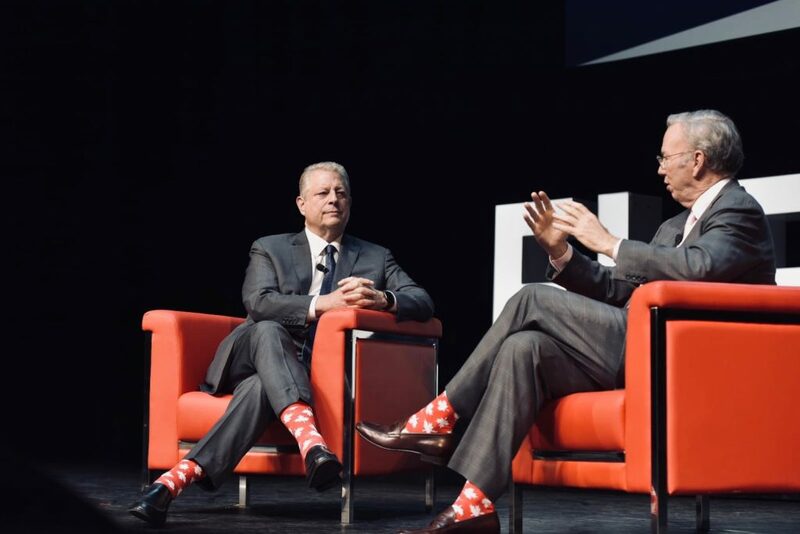 To a standing-room-only auditorium in Toronto’s Sony Centre for the Performing Arts, Al Gore delivered an engaging speech yesterday about his core focus of climate change with a twist made for Elevate – how technology can drive global change. The former Vice President of the United States quipped about iPhones vs Android, the current US political situation, and delivered a call to action for entrepreneurs at Elevate. Gore began his talk with a somber message. The rate at which we are destroying the planet in the name of profit is increasing, with the four hottest years on record having been the last four years. Gore said that the world has seen five “one every thousand years” climate events, including the recent Hurricane Florence that ravaged the United States’ eastern seaboard, in the past year alone. Now, this message isn’t new for Gore. As Eric Schmidt, former Executive Chairman of Google and Alphabet, brought up later in their fireside chat, Gore was one of the first federal politicians to “get it” when it came to global warming in the late 1970s. He proceeded to publish a book about climate change in 1992 and directed the Oscar-winning documentary An Inconvenient Truth in 2006, which led to a Nobel Peace Prize for his work in 2007. For Elevate 2018, Gore set his familiar message in a forward-looking yet thoroughly present technology-industry context. 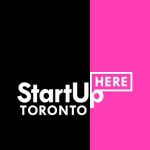 “Whether you are with a business, an NGO, or a community organization, diversity is indeed one of the greatest strengths,” said Gore, reminding the audience of the litany of studies demonstrating the value of a diverse workforce in solving any major problem. “The more diverse an organization [is], the more successful it is, provided everyone in the organization is respected and has the ability to trust others,” he continued, adding that one of the biggest problems he sees in 2018 is the rise of anti-diversity nationalist regimes around the world. Gore stated that the world only has to ask three questions when it comes to climate change: do we have to change, can we change, and will we change. Gore believes the answer to all three is yes, but the foundation of the entire movement is attracting diverse talent into your organization. Gore went on to say that companies have to prove to employees that they stand for something more than just making money. It’s tempting to get pessimistic about the future, the former Vice President admitted. Gore was speaking to climate change in particular, but his advice was universal for every entrepreneur in the room trying to build something. “It’s true there’s a lot of damage that is irreversible, but it’s true that the big harm can be avoided,” he said, highlighting how many of the individuals in the Elevate Main Stage auditorium are building the technologies that could solve some major climate issues. Attracting the talent necessary to solve these big problems, though, is not just a matter of being friendly. With a grave message to bear and hearty reminder of what’s necessary to solve it, Gore completed his keynote and invited Schmidt onto the stage for a fireside chat. Schmidt moderated the chat and prodded Gore with questions about the practicality of his movement. He particularly asked why it’s taken the American public so long to adopt even the smallest notion that climate change is a defining issue in human history. “Big money, lobbyists, and campaign contributions corrupted how democracy was supposed to work,” he said, noting that this trend has gone back decades. Gore continued, stating that the American public being misled by big money from major carbon polluters is not new. In fact, he said, many big carbon polluters hired the exact same PR firms that helped big tobacco companies hire actors to pretend to be doctors and tell the American public that cigarettes are not unhealthy. He finished his answer with an example of how Indian innovators experimented with solar energy, ultimately finding a way to make it more efficient than coal. Indian officials, said Gore, were excited to explore solar energy further because it was quoted at two rupees per kilowatt hour versus four rupees per kilowatt hour for coal energy. It was the more environmentally friendly option, but more importantly the better economic option. This realization is the real win for Gore’s movement, showing his fundamental understanding that technological innovations should make life better and cost less.